This article is about the 1980 Armistead Maupin novel. For the TV adaptation, see More Tales of the City (miniseries). For the entire series of novels, see Tales of the City. 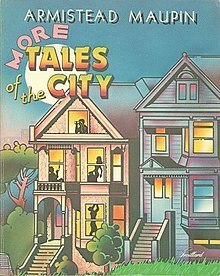 More Tales of the City (1980) is the second book in the Tales of the City series by San Francisco novelist Armistead Maupin, originally serialized in the San Francisco Chronicle. ^ Hoby, Hermione (January 4, 2014). "Armistead Maupin: San Francisco's chronicler calls time on his saga". The Guardian. This page was last edited on 17 January 2019, at 21:26 (UTC).